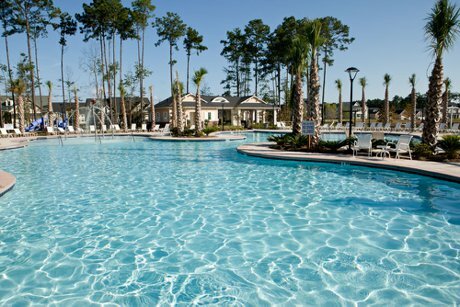 Emmens Preserve is one of the hottest new home communities in all of Myrtle Beach. Centrally located on the old Myrtle Beach Air Force Base next to the Market Common and just minutes to the Atlantic Ocean, Myrtle Beach International Airport, Coastal Grand Mall, Myrtle Beach State Park and everything else the Grand Strand has to offer. The builder/developer of Emmens Preserve is Lennar. They are a nationally recognized builder and they have a unique concept of "everything's included" in their homes. As an alternative to sprucing up a model home only to realize that the upgrades are not included, Lennar builds it all into the price. 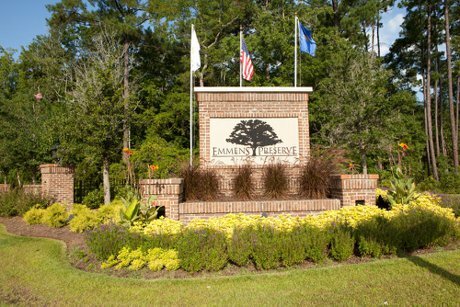 Low prices, quality built homes, and a great location make Emmen’s Preserve one of the most sought after communities in Myrtle Beach. Amenities in Emmens Preserve are second to none with a putting green, bocce ball courts, an amphitheater, outdoor kitchen, fire pits, and the Emmens Preserve Resident Club which offers a resort style pool and state of the art fitness center. Emmens Preserve delivers three series of homes varying in design, upgrades and price. The Heritage, the Arbor, and the Coastal Collections range in size from 1400 up to 2800 heated square feet and there are 19 floor plans to choose from. Homes include stainless steel appliances, granite countertops, Energy Star appliances, and much more. In addition to the fantastic homes available in Emmens Preserve the Garden Collection offers up a variety of townhomes which range in size from 1300 to just over 1700 heated square feet and offer up the same great features as the homes. For more information about homes for sale in Emmens Preserve or selling a home in Emmens Preserve contact us today at 843-424-6900. New homes are going fast so don't wait long! Similar communities include Cresswind and The Reserve at Market Common.